Suggest that your tot dress in a black t-shirt and Mini Rodini unicorn sweatpant for a comfy outfit. 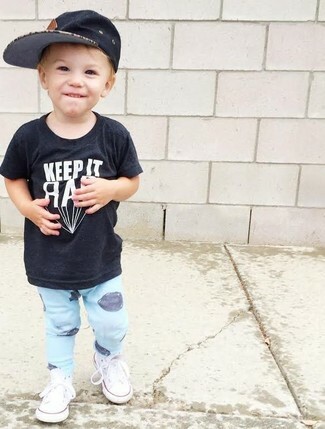 As far as footwear is concerned, suggest that your little guy grab a pair of white sneakers. Go for a navy bomber jacket and Mini Rodini unicorn sweatpant for your little one for a comfy outfit. As for footwear your tot will love blue sneakers for this style. 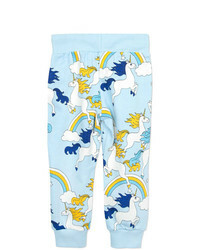 Suggest that your tot wear a white long sleeve t-shirt with Mini Rodini unicorn sweatpant for a comfy outfit. Blue sneakers are a nice choice to complement this getup.